Touch screen is not magic or miracle and no one believes they become a photographer by using a touch screen. It is a tool that many find useful while some may not. Nobody thinks it's a solution to all problems under all shooting conditions or all methods of using a camera. It does help some people in some situation exactly like any other feature. No feature is a great loss to everybody. AF, exposure metering, AF tracking, all those button to speed up the camera operations, fast lenses, variable ISO, etc. all are relative in their use and importance. That's why manufacturers usually implement different features. They cannot costume design a camera for each specific consumer. It's best to have the option but leave it to the users to choose to use it or to turn it off like many other features. Touch screen is not really an expensive implementation. The fact that it exists in Sony 5 series, proves it doesn't add to the cost particularly because Sony has already developed the system around it in previous models (it doesn't even add much to the R&D costs). It's really about a persisting old school of thought with their management that has an traditionally opinionated attidute about this. Maybe this is not a big issue for older generation who grew up with buttons and dials. However with new the generations of electronic consumers who are overwhelmingly growing up with touch interface devices, I find there is also the potential risk of alienating the younger generation from digital cameras. 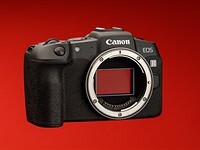 Sony should not wait until Canon and Nikon put the touch interface in their cameras so to realize (too late) it could have potentially helped them growing their market share. The more innovation they implement in their products, the more people would be convinced they are a worthy player alongside Canon and Nikon. So it looks like you are still stock in your logic that you claim you understand it it's flawed. Why to oppose innovation? Does innovation hurt you?